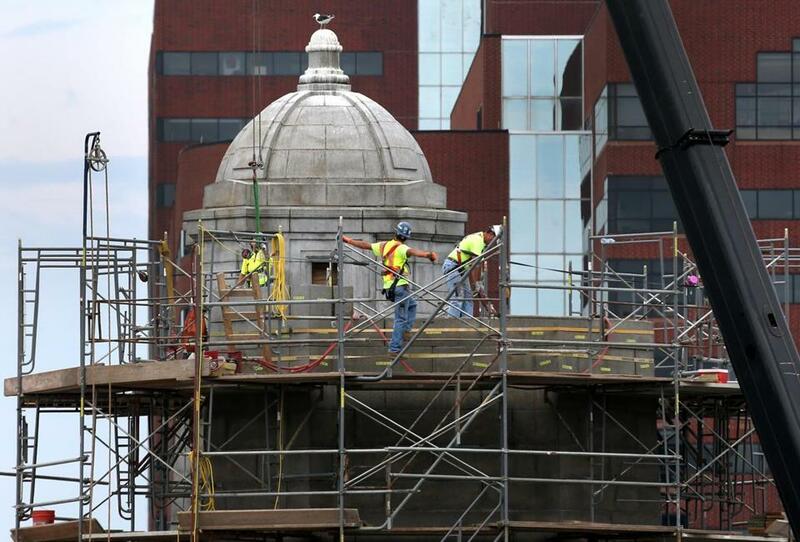 The Longfellow Bridge is being repaired. A sweeping $3 billion program that has significantly helped reduce the state’s number of structurally deficient bridges is slated to end next year, with no funding to replace it. 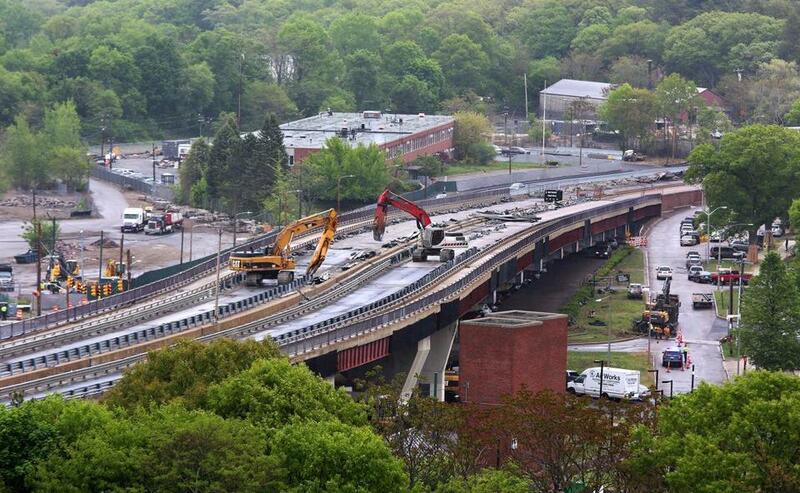 An estimated $14.4 billion of repairs are still needed, according to the state, which includes fixing several hundred deficient bridges across the Commonwealth, some of which carry sections of the Massachusetts Turnpike; Interstates 93, 95, 495, and 84; and other major thoroughfares. That cost estimate is expected to grow as expenses to repair the state’s bridges — on average the oldest in the nation — increase, according to industry experts. In 2008, Massachusetts launched the eight-year, $3 billion Accelerated Bridge Program, spurred by the collapse of the I-35 bridge over the Mississippi River in Minneapolis the previous year, killing 13 people. The Massachusetts program was designed to help tackle a backlog of maintenance and repair projects on bridges that have been determined to be structurally deficient. The program and its funding are set to expire in September 2016. Roughly one in every four bridges in Rhode Island is labeled as structurally deficient, federal data shows. 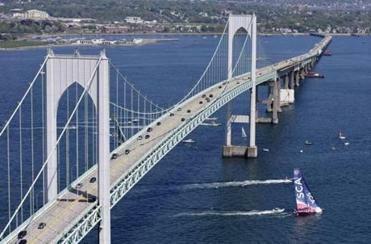 Explore: Conditions of bridges in Mass. Beyond that date, some funding is expected to be available for bridge repair, but only about a third, or roughly $200 million a year, of what has been spent annually in the state since 2008. The state also receives federal aid for some bridge projects, but federal spending on public transportation, like local spending, has waned nationwide for years. From 2001 to 2011, federal funds paid for 37 percent of Massachusetts’ highway and bridge work; not all bridge projects are eligible for federal aid. A bridge deemed to be structurally deficient is not necessarily in danger of collapse or otherwise unsafe, but “has major deterioration, cracks, or other flaws that reduce its ability to support vehicles,” federal transportation officials have said. In Massachusetts, 446 bridges, or 8.6 percent of all state- and municipally owned bridges, were structurally deficient as of last month, according to data provided by the state transportation department. That’s down from 613 bridges — or 12.2 percent of all bridges — in 2008. The program has helped bring the proportion of deficient bridges in Massachusetts below the national average, which stands at about 10 percent. And, with 26 more projects underway and six scheduled to start soon, the program is expected to further reduce the tally of deficient bridges. But by its own accounting, Massachusetts would need about $14.4 billion to complete all the bridge repairs it has identified as necessary, including bridges that are not classified as structurally deficient. To fix just the state’s structurally deficient bridges would cost $3.3 billion. State transportation officials said no proposals have been made to replicate some or all of the Accelerated Bridge Program after the initiative expires in September 2016. Ongoing work includes several major projects, including restoring the Longfellow Bridge; replacing the Casey Overpass in Jamaica Plain, and fixing Whittier Bridge which carries Interstate 95 over the Merrimack River between Newburyport and Amesbury. The Casey Overpass in Jamaica Plain. Massachusetts has the oldest bridges in the country at an average age of 58, while the national average is 43. Its bridges also rank among the worst nationally when it comes to a measurement transportation officials use nationwide to help prioritize repair and replacement projects. The standard, called the sufficiency rating, is calculated for each bridge and provides a fairly comprehensive look at its overall status. The measure uses a detailed formula that considers the structure’s condition, functionality, and importance, giving it a score from zero, the worst possible, to 100. On average, Massachusetts’ bridges score 76.4 — the eighth-lowest average rating of any state and several points below the national average of 81. The rating, which ranges from 0 to 100, measures a bridge's condition, functionality, and importance. The state’s worst-rated bridge is small — about 35 feet in length — but busy. The 64-year-old structure carries a pair of Storrow Drive’s westbound lanes above two of Storrow’s eastbound lanes — a Boston roadway open to cars only. The bridge, which forms a tunnel, is roughly where Berkeley Street meets Storrow, and on average, more than 57,000 vehicles drive over the structure each day, though those traffic estimates are a decade old. The bridge has a sufficiency rating of zero and is labeled structurally deficient. However, the last inspection of the bridge, in 2013, “concluded that the tunnel continues to be structurally sound and a safe passageway for vehicular traffic,” Massachusetts Department of Conservation and Recreation spokesman Troy Wall said in an e-mail. If inspectors discover problems that the state doesn’t have the money or manpower to address immediately, temporary solutions can be implemented, including installing road barriers to keep vehicles from traveling over weaker areas of the bridge, posting signs to ban vehicles over a certain weight, or closing the structure altogether. “We feel comfortable that we’re doing the best we can to make sure safety is maintained,” Bardow said. But they could be doing more if they had the money, officials said. A spokeswoman for Governor Charlie Baker called the bridge-repair program a success, saying it tackled some of the states’s largest reconstruction projects and pushed officials to develop ways to fix bridges at lower costs and with less disruption. But she offered no specifics for how Baker will address the need for more bridge funding and repair. Transportation officials will continue “to invest available capital resources in bridge maintenance and safety,” the spokeswoman, Elizabeth Guyton, said in an e-mail. Calls to increase funding to fix bridges remain politically unpopular. Most proposals involve raising taxes, and lawmakers generally don’t see infrastructure repairs as a path to reelection. Yet postponing work can cause problems to grow exponentially, because the older a bridge gets, the more rapid the deterioration, experts said. Last fall, Boston abruptly shut down — and later demolished — a municipally owned bridge connected to Long Island because the span had structural deficiencies similar to the Minneapolis bridge. Advocates say increased funding for bridge repair and maintenance is needed not only to help ensure safety, but to let workers get to their jobs and keep businesses running smoothly.